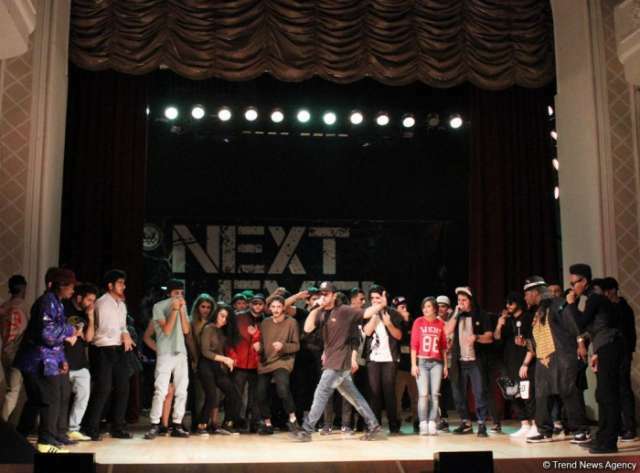 The Next Level hip-hop academy hosted master classes for Azerbaijani youth, and a concert in Baku. The Next Level project is an initiative of the US Department of State, the University of North Carolina at Chapel Hill, and Meridian International Center. On October 27, Five US hip hop artists and educators - Jaci Caprice Clark (beatmaker), Eric “Mr. Trixter” Angelini (graffiti artist), Akim “Akim Funk Buddha” Ndlovu (dancer), Derick “D-Cross” Cross (beatboxer) and Tierney “T.R.U.T.H” Reed (MC) - held master classes for the Azerbaijani youth. Their visit to Azerbaijan was organized with the support of the US Embassy in Azerbaijan and the assistance of the Azerbaijan Youth Union. Following the master classes, a concert was held on the stage of the Rashid Behbudov State Song Theater in Baku. About 45 representatives of hip-hop culture of Azerbaijan participated in the concert. They shared the stage with “Akim Funk Buddha”, “D-Cross” and MC T.R.U.T.H. The participants organically mixed hip-hop with Azerbaijani national dances and national music. The concert turned out to be absolutely unpredictable - suddenly, all those who were on the stage at one time descended into the hall and continued their performances there. The spectacular show of breakdancers was followed by Azerbaijani folk song “Sari Gelin”. Following the concert, Aziz Azizli, deputy chairman of the Azerbaijan Youth Union, chairman of the Azerbaijan Dance Association, expressed gratitude to the US Embassy in Azerbaijan for the implementation of such a significant project in the country, as well as to the US hip-hop artists for training the Azerbaijani youth. Azizli presented diplomas to Heidi Smith, cultural affairs officer at the US Embassy in Baku, Farghani Aliyev, expert on culture issues at the US Embassy in Azerbaijan, as well as to Akim Ndlovu, Derick Cross and Tierney Reed. To sum up the concert, it's safe to say that the hip-hop culture has taken its place in the life of Azerbaijani youth and for many, has become a way of life. Today, on Oct. 28, another concert will be held at the Mingachevir State Drama Theater within the Next Level project.